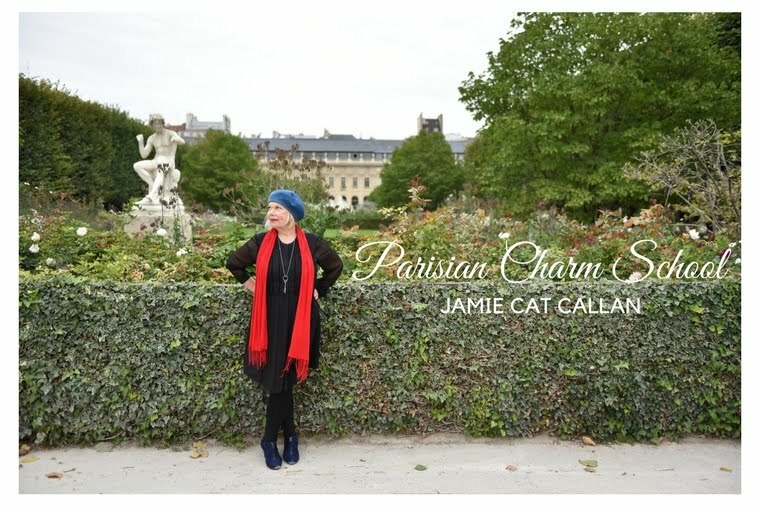 Jamie Cat Callan: Bonjour, Hot Pink Cast! 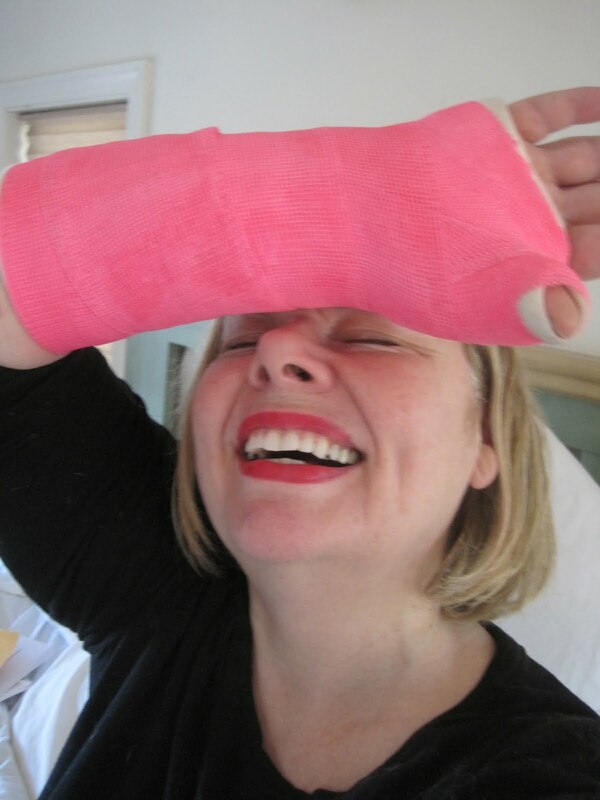 Yes, it's true I have a broken kneecap and broken wrist, but that doesn't mean I can't find a little joie de vivre! I've asked myself what would a French woman do in my predicament and I realized--why, she would turn it into an opportunity to make a fashion statement. Dr. B. said I could have my choice of colors for my cast. 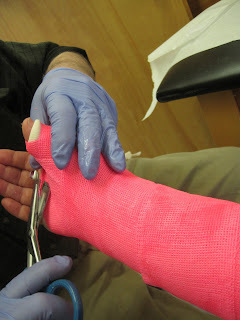 I decided I would like a hot pink cast. 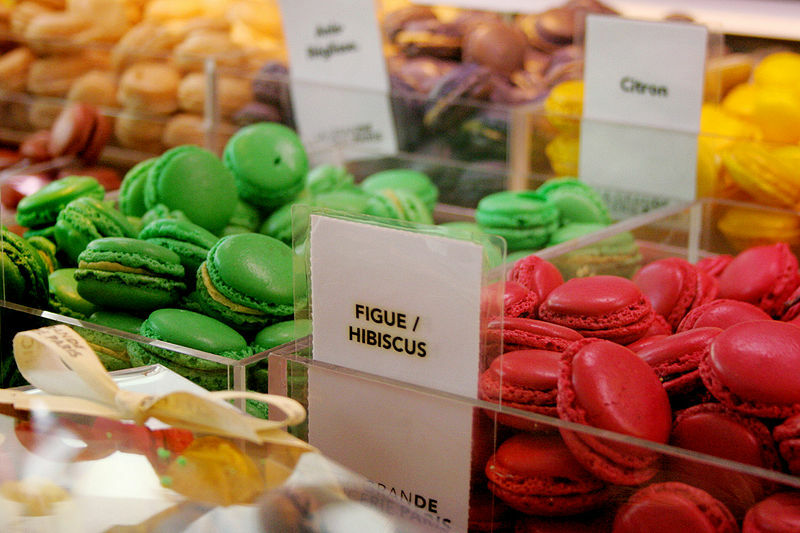 After all, hot pink goes with everything, bien sur! It even goes with basic black. 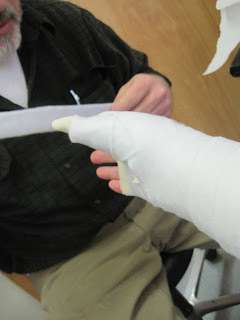 Yes, this is my leg--all bound up in a nonflexible cast. This means I cannot bend my leg, under any circumstances, which makes life interesting and walking difficult and going up or down stairs darn near impossible! Everyone has asked me how do I keep my spirits up when I'm hobbling about in crutches and mostly confined to the bed. Well, I read, I write, I blog, I daydream, I sleep, I learn the art of patience and I've turned this unexpected event into a Secret Garden. And while it's been quite and ordeal, I remain undefeated! I vow I will dance again! A lovely vision in pink! Heal heal heal! Such a girly and feminine choice for a cast Jamie. I would expect nothing less! Lonna fell in the shower about 8 years ago and broke her kneecap. It was a horrible debilitating time in our lives. Best wishes. So great to take this is in a hot pink "fashion" stride!